The Finn Financial Group is a full-service, specialty planning firm with a commitment to ensuring the long-term financial stability of its clients. We believe this can best be achieved through a stream of guaranteed , tax-advantaged payments carefully tailored to each individual's specific needs. Our diligent work has resulted in a long list of satisfied clients and a high degree of trust. For more than 20 years, Kathryn Arnold has been involved in the entertainment industry. Her professional experience has run the gamut from production and development to financing and fund-raising on everything from major motion pictures and television to the Los Angeles Olympic Organizing Committee. Several productions she's been involved with have gone on to win awards at respected Film Festivals around the globe. "EBA," she jokes referring to her wide-ranging experience. "Everything but acting!" With such an in-depth understanding of the interworkings of Hollywood, it was only a matter of time of time before she became sought out as an expert witness and consultant for entertainment-related litigation and similar matters. Kathryn provides litigation support and expert witness testimony on a host of relevant subjects in the entertainment world. She counts a number of high profile entertainment law firms as her clients. But until recently, she had never heard about structured settlements. As one who now routinely helps clients quantify economic damages, she immediately saw the advantages. Kathryn and I recently chatted about structured settlements and she couldn't agree more that the entertainment community has not yet embraced the concept nearly as much as it could. Or should. "The entertainment field is a highly volatile industry filled with boom and bust stories. And the stakes can be quite high. One year, you're hot and make a decent living. The next year, and possibly for the rest of your life, you're just trying to get by," she explains about the grim realities of Hollywood for many. "Structured settlements can help even things out for a settling plaintiff." At the Finn Financial Group, we welcome any inquiries you have on cases involving entertainment-related disputes. Whether it's a copyright infringement case, wrongful termination or similar tort, structured settlements can likely help! Little Known Trivia: While Kathryn Arnold may never be able to lay claim to any acting experience, such cannot be said of yours truly. In a former life, I worked as an amateur and professional actor for stage, screen, print and film. With over 25 stage productions to my credit and very brief stints on popular soap operas including "The Young and The Restless," (don't blink or you'd have missed me! ), the acting bug has long passed. The experience does, however, give me some insight into "the bizz" which I can apply when helping entertainment professionals make sound choices about their settlement options. The Finn Financial Group provides customized, guaranteed future income options and ancillary services to a variety of clients throughout the United States. We pride ourselves on our commitment to the overall financial well-being of the individual. For a greater understanding of the services we provide, click on your area of interest. We provide structured settlements for victims of personal, physical and non-physical injuries. We help attorneys meet their due diligence obligations, create and analyze proposals, conduct educational seminars, attend mediations, and structure fees - without any charge or out-of-pocket expense to the attorney or client. We assist insurance companies and self-insured clients by providing structured settlement illustrations and present value analyses, helping to present offers, and consulting with claims management. We work with business owners, property owners, and those with certain other qualifying appreciated assets to defer capital gains in the selling process. 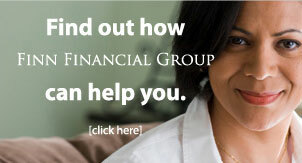 We also offer life insurance, non-structured settlement annuities, retirement annuities, and much more.